Today is an unusual thing, an ALL bead and jewelry post from me. 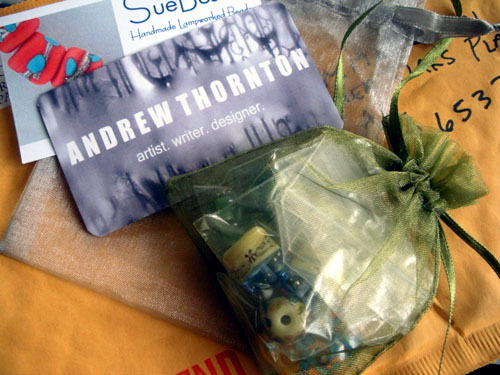 . .
First, if you follow me on Twitter, you may have noticed my excitement when the beads from SueBeads that I won from Andrew Thornton a few weeks ago showed up in my mailbox. 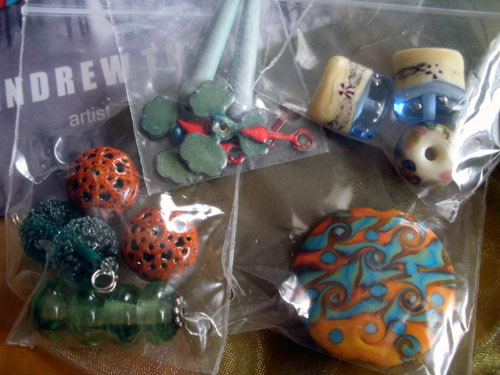 I tore into that package, only stopping to snap a few shots to share with you of my progression to get to the BEADS. I do apologize for the last shot, made today as my shaky-morning-haven't-had-my-coffee-yet image doesn't do these beads justice. They are stunning though! 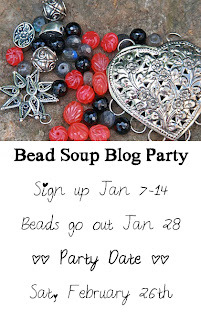 In other beady news, I've made the plunge and joined the Bead Soup Blog Party hosted by Lori Anderson. Let me admit that I'm very nervous about this venture. It's not the making something out of beads someone else picks. I've done that before. Nooooo, it's the picking out beads and findings for someone else that makes me shake in my boots. However, looking over the impressive list of other WONDERFUL jewelry artists sparked a desire in me to be a part of that group. 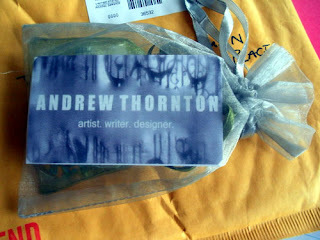 This morning, I got the e-mail from Lori that I'm IN!! If you'll check out the sidebar on the left, you'll see that I've already added the badge to prove it! If you want to jump in the mix and sign up, you better hurry up. Sign up ends on the 14th. 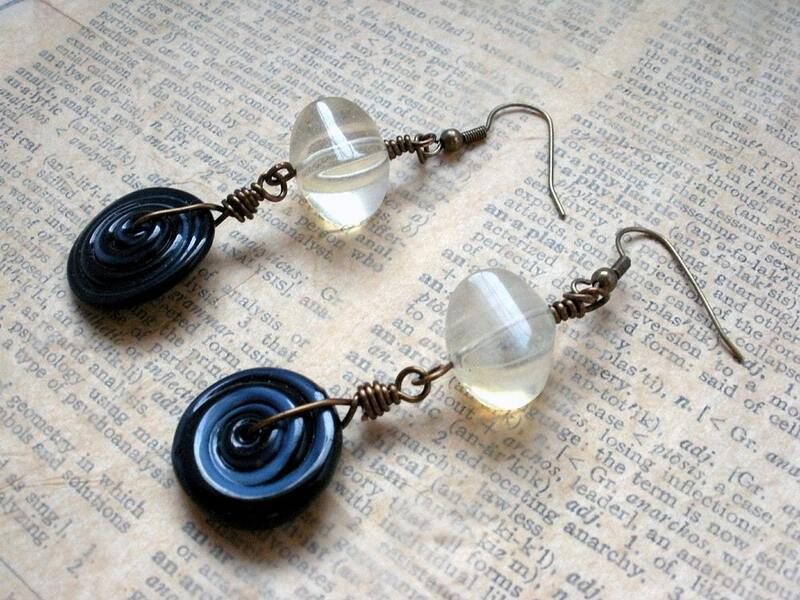 I did add another pair of earrings to the shop this morning also. I do love these. Before I head out for the busy day ahead, I do want to share some links. In keeping with today's theme, they're all jewelry-related!! Lastly, some beads. Smallest Forest shows how to make beads from the pages of a book. Let me quickly congratulate the AUBURN TIGERS on their BCS National Championship win last night. As many may know Auburn is not my team, but I'm so proud that the Champs are from my state and conference. . .AGAIN! Congrats Auburn players and fans. Now I'm off to tackle to rest of the day. You are going to be FINE!!! That's what's wonderful about this Party -- there are all skill levels, all types of beads (even paper beads!) so there's NOTHING to worry about! Thanks so much for the vote of confidence. 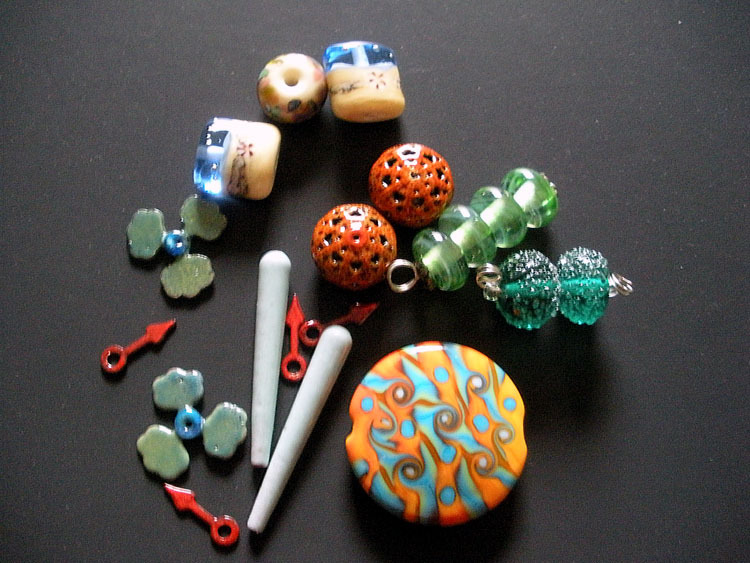 I'm sure I'll be able to find a few fab things at one of the many local bead stores. . .just as soon as I know who I'm shopping for! eek! I'm excited now! I am excited and yes I hope I can pick a sweet bundle for my blog partner! Everyone is so excited thought I can't help but be too! I'm sure you'll do great. Shopping for other people just puts my nerves on edge. I think that's why I tend to put off Christmas shopping too. Eh, of course, I love to shop for beads . . . soooooo that'll be fun! Can't wait!